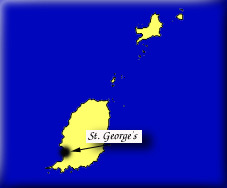 Grenada was discovered in 1498 by Columbus, who named it Conception. 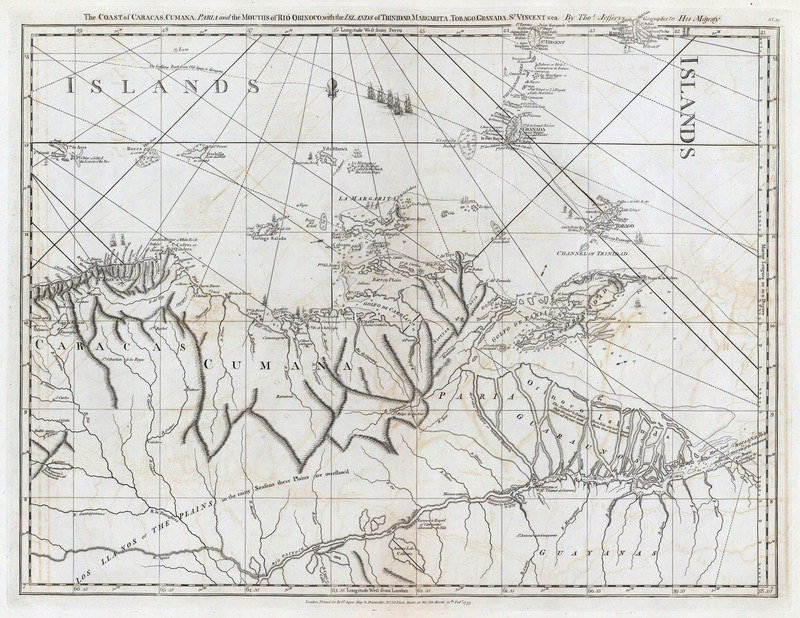 Neither the Spanish nor the British, to whom it was granted in 1627, settled on the island. The governor of Martinique, du Parquet, purchased it in 1650, and the French were well received by the Caribs, whom they afterwards extirpated with the greatest cruelty. 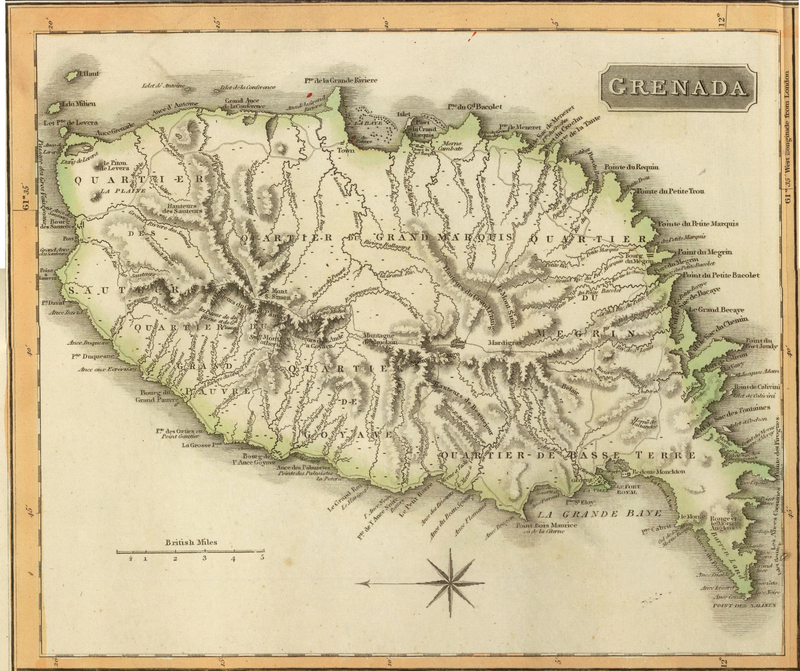 In 1665 Grenada passed into the hands of the French West India Company, and was administered by it until its dissolution in 1674, when the island passed to the French Crown. Cocoa, coffee and cotton were introduced in 1714. 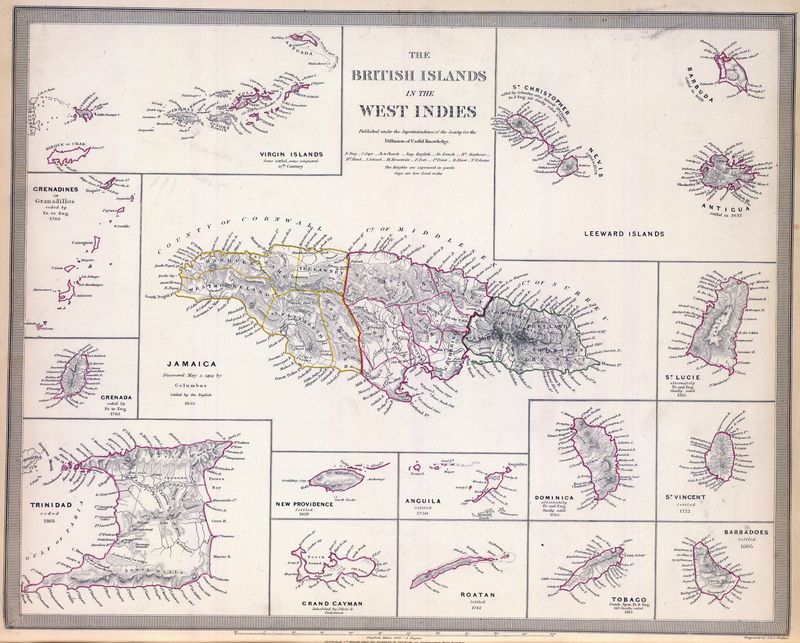 During the wars between Great Britain and France, Grenada capitulated to the British forces in 1762, and was formally ceded next year by the Treaty of Paris. 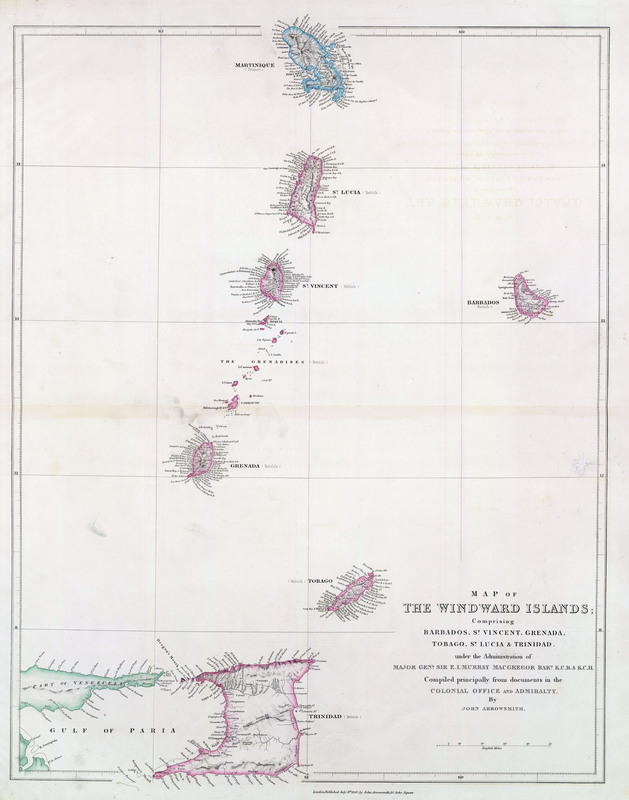 The French, under Count d'Estaing, re-captured the island in 1779, but it was restored to Great Britain by the Treaty of Versailles in 1783. A rebellion against the British rule, instigated and assisted by the French, occurred in 1795, but was quelled by Sir Ralph Abercromby in the following year. The emancipation of the slaves took place in 1837, and by 1877 it was found necessary to introduce East Indian labor. 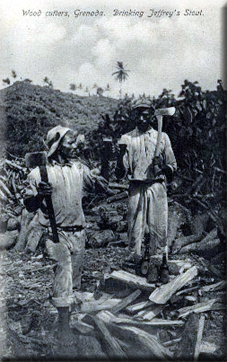 Grenada, with cocoa as its staple, did not experienced similar depression to that which overtook the sugar growing islands of the West Indies. It became independent in 1974. Colin Heape gives a biographical overview of his father's Colonial Service career stretching three decades from Africa to the Americas.